Experience THE Sixties tribute show that's wowing audiences around the world, selling out venues from the Palladium to Blackpool Tower - with the spectacular sounds of THE ZOOTS! 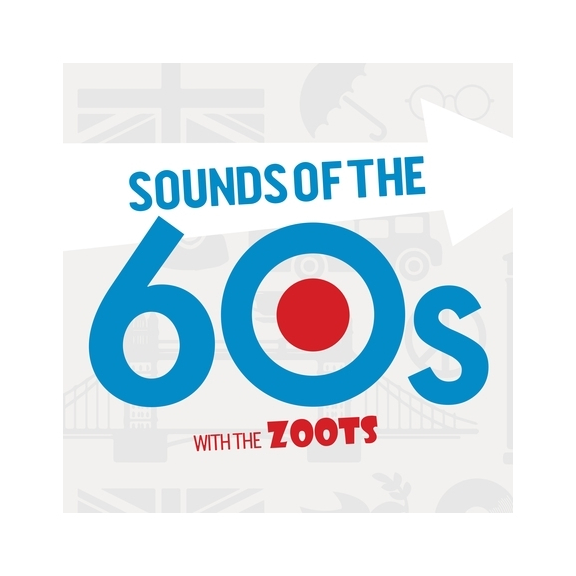 THE ZOOTS are here to make your whole family bop to the '60s beats that everybody loves - with legendary numbers by the best of the '60s artists including The Beatles, The Searchers, The Rolling Stones, The Monkees, The Small Faces, The Beach Boys, The Kinks, The Shadows, The Drifters, The Who, Petula Clark, The Four Seasons, Elvis and more. Feel the groove that's thrilled audiences of stage and screen, and brought the swinging sixties back to more than 30 countries! Discover why national critics call THE ZOOTS "impressive", "authentic", and "impossible not to like"!